Joanne qualified in 1996 from the Middlesex Hospital School of Physiotherapy at U.C.L. She then completed junior rotations and specialised in musculoskeletal outpatients gaining a senior physiotherapy position at University College Hospital in London. She completed a Masters in Neuro-musculoskeletal physiotherapy at UCH in 2001. Since then she has worked in Private Outpatient Clinics in London and Cambridgeshire, working with some of the leading Orthopaedic and pain specialists in the UK. She has worked in the City of London and at the MOD where she was responsible for the in-house therapy services provided for employees. This involved assessment of ergonomic factors and formulating personal treatment plans for clients. She has also gained membership of the Musculoskeletal Association of Chartered Physiotherapists, a specialist group of physiotherapists. 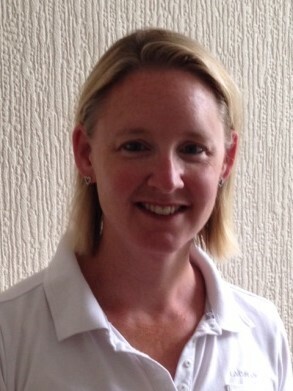 Currently Joanne works part-time in a private clinic in Penarth, near Cardiff. This role involves working closely with personal trainers to assist in the overall rehabilitation of patients with a variety of musculoskeletal complaints and challenges. Joanne uses Clinical Pilates as part of treatment with a number of clients, and has undertaken training with the Australian Institute of Physiotherapy and Pilates. When not working Joanne enjoys running and has 3 young children to look after! !